Rebecca is a Member and Co-founder of Bala Law Group, LLC. She concentrates her practice in the areas of tax and estate planning; closely held business succession ﻿﻿﻿planning; charitable giving; and estate and trust administration. She has authored several articles and lectures frequently on various topics related to her practice areas. 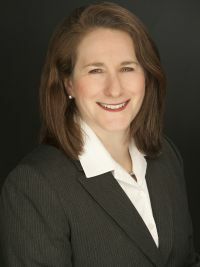 Prior to founding Bala Law Group, LLC, Rebecca was a Shareholder in the Estates and Trusts Group at Stevens & Lee, based in its Philadelphia office, from 2009 through 2012, and a Partner in the Private Client Services Group at WolfBlock, LLP from 2004 until it ceased operations in 2009. Before holding those positions, she practiced law in other premier trust and estates groups in the Greater Philadelphia area. Rebecca was recognized with the top "AV" rating in 2003 (for quality of work and professional integrity) by Martindale Hubbell, a long-standing directory which gathers and publishes peer review ratings for lawyers nationwide. In 2004, Rebecca was honored as one of 30 statewide “Lawyers on the Fast Track” by the American Lawyer Media's Legal Intelligencer and, upon her graduation from law school in 1993, she was awarded the Pittsburgh Tax Club Memorial Award in recognition of her aptitude in tax law. Rebecca, a third generation "Philadelphia Lawyer", was raised in the Philadelphia area and now lives in Bala Cynwyd, Pennsylvania with her husband, Rob, and their son, Jeremy. "Planning for Death and Taxes in the 21st Century," The Philadelphia Lawyer, Vol. 73, No. 4, Winter 2011. Disclaimer: ​The information on this website is for general information purposes only and is not intended to be, and should not be construed as, legal advice. This information is not intended to create, and receipt or viewing does not constitute, an attorney-client relationship.